Designed for use wherever weekday celebrations of the Eucharist take place, the Daily Eucharistic Lectionary provides the recommended scripture readings written out in full for every weekday of the year. Using the NRSV translation and psalms from the Common Worship Psalter, it provides all the readings for the two year cycle of the Common Worship weekday lectionary in one place. Ideal for use at the lectern. 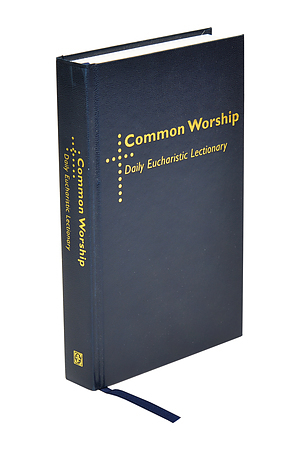 Common Worship: Daily Eucharistic Lectionary by Simon Kershaw was published by Canterbury Press in May 2008 and is our 2608th best seller. The ISBN for Common Worship: Daily Eucharistic Lectionary is 9781853118968. Got a question? No problem! Just click here to ask us about Common Worship: Daily Eucharistic Lectionary.